After two years of a virtual vacuum in terms of DVD presence with respect to classic films, it was indeed a pleasant surprise when Fox announced its release of The Elia Kazan Collection this past fall. The details in the announcement brought back memories of two other impressive Fox box sets that excited fans - Ford at Fox in late 2007 and Murnau, Borzage and Fox in late 2008. Now with the actual release in hand, I can report that it fully meets the expectations that the announcement raised. The set contains 15 films directed by Kazan, 8 of which were originally released theatrically through Fox. Of these 8, four are new to DVD in Region 1. They are A Tree Grows in Brooklyn (1945), Viva Zapata! (1952), Man on a Tightrope (1953), and Wild River (1960). The four Fox reissues are Boomerang (1947), Gentleman's Agreement (1947), Pinky (1949), and Panic in the Streets (1950). The other 7 titles include one that is new to DVD - the Warner Bros. title America America (1963). The remaining six reissues come from Warner Bros. - A Streetcar Named Desire (1951), East of Eden (1954), Baby Doll (1956), A Face in the Crowd (1957), and Splendor in the Grass (1961) - and from Columbia - On the Waterfront (1954). The set is rounded out by Martin Scorsese's American Masters tribute A Letter to Elia (2010) - a title new to DVD. Each film is presented on a single disc with the exception of A Streetcar Named Desire and East of Eden which each are two-disc editions. The resulting 18-disc collection is contained in a 22-page hardback folio with accompanying stills and brief cast and award notes. The folio is housed in a classy, durable, red and black 8"x11" slip case that also contains a 100-page hardcover book with numerous stills, notes on Kazan's career, and production information on the films in the set. I've taken particular notice of the six titles that are new to DVD. The five feature films all offer different experiences in terms of time, location, and genre yet there are common threads that can all be attributed to Kazan - an ability to evoke convincingly all natures of settings both time and place, and a superb rapport with actors that elicits some excellent individual as well as ensemble performances. Based on Betty Smith's 1943 novel of the same title portraying life in the early 20th century Brooklyn tenements, the 1945 film like the book was a significant success. The film beautifully evokes its time period despite its studio-bound nature due to an impressive four-storey tenement replica. It was also Elia Kazan's feature film directorial debut and he draws impressive performances from virtually his entire cast with the work by Peggy Ann Garner (1945 Oscar for Most Promising Child Actress) as the film's young protagonist, Francie, Ted Donaldson as her brother Neeley, and James Dunn (Best Supporting Actor Oscar) and Dorothy McGuire as her parents particularly standing out. Francie's father, Johnny, is a lovable dreamer with a penchant for the bottle and only occasionally does he find work as a singing waiter. As a result, life for Francie's mother, Katie, is a constant struggle - the responsibility making her a mirthless parent seemingly able to derive any enjoyment from life but seldom. Though Katie keeps the family afloat and consequently is the heart of the family, the heart of the film as in the book is the relationship between Francie and her father. It is he despite his impulsiveness and the disappointment it often brings who encourages Francie in her dreams of becoming a writer. The book offered a universal message of hope, perseverance, and family that is equally delivered by its film incarnation. The latter's effective evocation of time and place distant from current experience would become typical of Kazan's work over the years. Fox's full frame presentation is very nice, offering a crisp, clean image with very good shadow detail. Good gray scale reproduction and modest grain deliver a very film-like feel. The mono sound is in good shape and English SDH, French, and Spanish subtitles are provided. The film is accorded a nice suite of supplements including a making-of documentary; audio commentary by Richard Schickel with Elia Kazan, Ted Donaldson, and Norman Lloyd; an appreciation of Dorothy McGuire by Lloyd; and a couple of MovieTone news segments. Fans have been waiting for this title for quite some time, but the wait has been worthwhile. This 1952 recreation of the life of the Mexican Indian Emiliano Zapata who was a major figure in the early 20th century revolution against the tyrannical Porfirio Diaz is one of the few really successful Hollywood films about the Mexican Revolution. The treatment of Zapata (Marlon Brando) is idealized and fictionally contrasted with a communist sympathizer (Joseph Wiseman), but the film's sentiments are in the right place. Better yet, it effectively evokes the look of the times due to Kazan's study of real photographs of actual places, people, and events, even though it was shot in Texas after the Mexican government objected to some aspects of the script. The film builds its story slowly and focuses on relationships between people rather than action set pieces, as a result relying heavily upon its actors to maintain audience interest. In this regard, Brando carries the film with an engrossing characterization that frequently goes in directions beyond the normal Hollywoodized Mexican revolutionary figure. Anthony Quinn is also quite good as Zapata's brother, winning a Best Supporting Actor Oscar for his efforts. Fox's full frame transfer is correctly framed and offers a very pleasing presentation - a nicely detailed gray scale, very good contrast, and a generally sharp image. The image is notably clean and characterized by variable amounts of grain. The mono sound is clear and distortion free. French and Spanish mono tracks are also provided as are English SDH and Spanish subtitles. The only supplements are the original English and Spanish trailers. Viva Zapata! has been on many western fans' wish lists for a long time and it's good to see it finally appear despite its lack of supporting material. This 1953 film is probably the least-known title of any in the Kazan set. That's unfortunate because it's a superior film that bears repeated viewings well. The film is set behind the Iron Curtain in Czechoslavakia and concerns the fate of Karel Cernik's traveling circus. The circus has been nationalized by the Communist government with Cernik allowed to remain in place as its manager. Frustrated by the propaganda purposes to which his circus is now subjected, Cernik decides to lead the circus in a desperate escape attempt across the border into German Bavaria, then under the control of American forces. With Bavaria ironically the film's shooting location standing in for Czechoslavakia, Kazan once again creates a mesmerizing time capsule of time and place. Adding to the realism is the use of the German Brumbach Circus whose performers give the film an atmosphere unmatched by any other circus film I've seen. Fredric March provides a persuasive performance in his portrayal of Cernik, capturing very well the uncertainty in his actions, driven as they are by political, business, and familial concerns. The latter include a second wife (Gloria Grahame) who offers him only ridicule and infidelity, and a daughter (Terry Moore) from his first marriage who threatens to run off with a mysterious young stranger working for the circus (Cameron Mitchell). The film is a good example of superior ensemble acting that also includes good turns by Richard Boone and Adolph Menjou. Fox's full frame image is correctly framed and yields a bright, crisp image whose only detraction is some very minor edge enhancement. Image detail is superior with deep blacks and crisp whites being evident. The mono sound is in good shape and English SDH, French, and Spanish subtitles have been added. There are no supplements beyond trailers for two of the other films in the box set. Man on a Tightrope is one of the Kazan set's really pleasant surprises. Elia Kazan's first film of the 1960s is a drama set in the 1930s that is built on the conflict between the good of the one versus the good of the many with the issue of racial prejudice mixed in. The film is once again a masterful evocation of the times, beautifully capturing the Tennessee Valley in CinemaScope. Wild River (1960) stars Montgomery Clift as a Tennessee Valley Authority (TVA) agent, Chuck Glover, tasked with expropriating and evacuating lands that will be inundated with water as a consequence of the construction of a dam on the Tennessee River. Chuck's main concern is cantankerous old woman Ella Garth (Jo Van Fleet) who refuses to leave her land. Complicating matters is Ella's widowed grand-daughter Carol (Lee Remick) who falls in love with Chuck. The ambivalent feelings that Chuck has for his task and Carol are well suited to Montgomery Clift's abilities for playing conflicted characters accentuated by his handsome though gaunt appearance. The role of Carol was Lee Remick's second for Kazan, she having previously appeared in A Face in the Crowd. The sexual tension that is generated between her and Clift in the film is extraordinary. Other than a Berlin Golden Bear nomination, Wild River didn't receive much consideration for 1960's various film awards with Jo Van Fleet's work particularly being inexplicably overlooked in award considerations. Fox delivers an excellent 2.35:1 anamorphic transfer that offers a crisp image with very fine colour fidelity. Modest grain is apparent and the result is a delightfully film-like experience that shines on a big screen. The English mono is clear and distortion free. There is also a Spanish mono track and English SDH, French, and Spanish subtitles. The supplements comprise audio commentary by Richard Schickel and the theatrical trailer. Definitely an experience that would also benefit from a Blu-ray release. Usually mentioned as Kazan's favorite film, 1963's America America was inspired by the true story of Kazan's uncle, an Anatolian Greek who struggled to lead the emigration of his family from Turkey to America in the late 19th century. In the film, Kazan's uncle is personified by Stavros Topouzoglou (Stathis Giallelis), a naïve young man whose father entrusts the family's fortune in him and sends him to Constantinople. There, Stavros is to invest in his uncle's rug business and build his own fortune so that his father and mother and the rest of the family can all move to the big city too, thus escaping the oppression that has dogged their lives. Stavros, however, has an even grander vision - that of going to America. America America, despite the title, is only marginally about America per se. The title signifies Stavros's inspiration for persevering in his travels through Turkey and his travails once he gets to Constantinople. Stavros is robbed and steals from others; he is nearly killed and kills others; he is deceived and deceives others; he marries and then leaves his wife. Despite his naivite, Stavros has a survival instinct that transcends everything else in his life. Giallelis, who plays Stavros, was a complete acting novice whom Kazan discovered in the office of a Greek filmmaker. His inexperience is apparent in some of the film's scenes, but his overall impact is impressive. Once again, Kazan managed to impart a tremendous feel for a particular era with Turkish Anatolia and Constantinople all magnificently brought to life in black and white. Stavros's eventual arrival in America is presented as both a triumph and tragedy and a mixture of enthusiasm and occasional deceit that was reflective of many of the real immigrant situations. It's a fitting conclusion to the difficult journey that Stavros has endured from his childhood home in Anatolia. Warner Bros. 1.85:1 anamorphic transfer is quite good. There are a few soft sequences, but otherwise the image is crisp with good shadow detail. Black levels are particularly notable. There's no evidence of edge effects and moderate grain is present. The mono sound is in good shape and English SDH and French subtitling is provided. The only supplement is a good one - a low-key but very informative audio commentary by Foster Hirsch. America America is a long film at 168 minutes, but it's a very rewarding one and its DVD presentation does it justice. This 2010 American Masters presentation is more an appreciation of Elia Kazan for what he meant to Martin Scorsese than a documentary on Kazan's career. 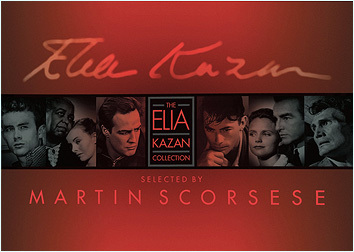 Certainly there is plenty of footage of many of Kazan's greatest films (particularly On the Waterfront, East of Eden, and America America) and of Kazan himself, but the film is notable as much for what it tells us about Martin Scorsese. In Kazan's films, Scorsese saw reflected much of what he was experiencing in his own life and in his narration of A Letter to Elia, Scorsese is quite forthright about how much he appreciated that reflection and how it helped put his own life experience into perspective. Scorsese's narration is contemplative and heartfelt, and while it makes very clear his admiration for Kazan, it's never gushing or self-serving. It's a wonderful tribute to Kazan and well worth seeing several times to absorb everything that Scorsese conveys about meaning in film from a very personal point of view. Fox's 1.78:1 image is a mixture of new footage that looks as crisp and bright as one might expect, plus ample archival footage, stills, and film clips that reflect varying levels of quality consistent with their age. The film clips are mostly presented in their correct aspect ratios. The Dolby Surround audio is clear. English SDH, French, and Spanish subtitles are provided. There is a good 20-minute supplement that consists of thoughtful reflections on Kazan's work by the likes of Al Pacino, Ellen Burstyn, Robert De Niro, Eli Wallach, and Alec Baldwin. The other 10 Kazan-directed feature films in the set, as mentioned above, have all previously been released on DVD - several more than once. In all instances the most recent DVD version has been replicated for release in the Kazan collection. 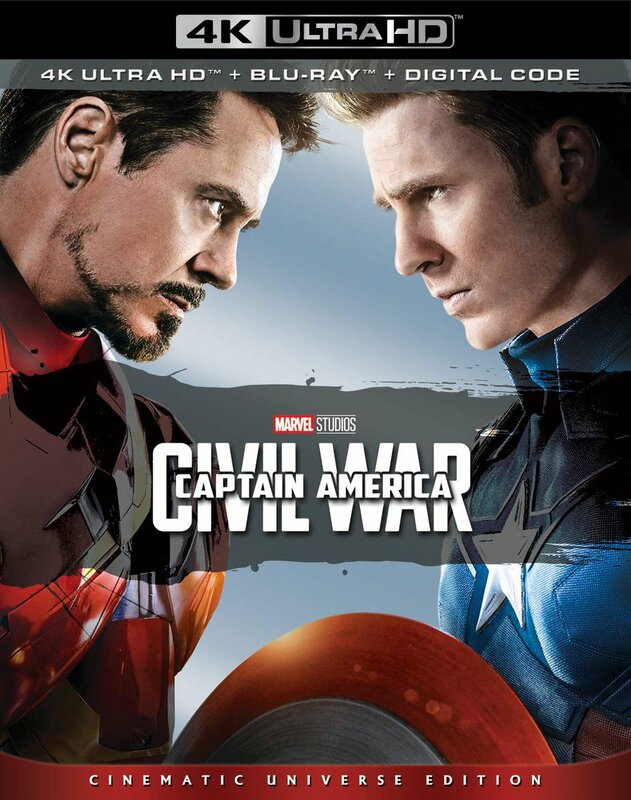 The only difference is the use of new disc art on the Fox releases. All supplements included on the previous DVD releases have been retained. That means we get the two-disc releases that Warner Bros. prepared for East of Eden and the director's cut version of A Streetcar Named Desire. The others are all single-disc releases, the oldest of which is Columbia's 2001 release of On the Waterfront. The Gentleman's Agreement DVD is the version released in Fox's Studio Classics series. The Pinky version in the set was originally part of Fox's first wave of Cinema Classics, and lacks only the lobby cards that accompanied that release. The Boomerang and Panic in the Streets discs originate with Fox's Film Noir series. As all these titles have been widely reviewed in the past including many by myself, the following summaries detail only the transfer qualities and supplements provided for the most recent DVD versions that are replicated in the Kazan set. 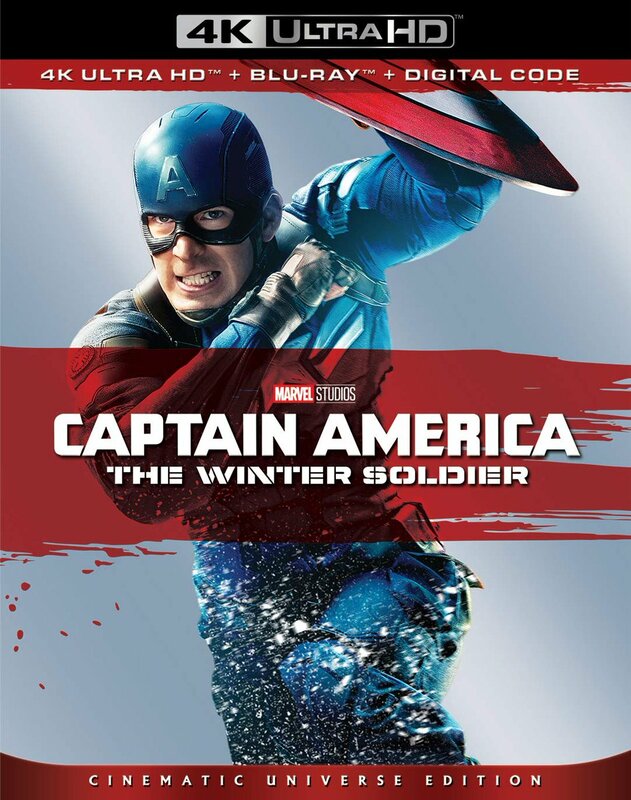 Fox's 2008 DVD release offers a fine full screen transfer that as with most Fox classics, is typically sharp, clean, and nicely detailed with an appropriate amount of grain. The mono sound is in good shape and English and Spanish subtitles are provided. Noir experts James Ursini and Alain Silver deliver an excellent audio commentary. Also included are the theatrical trailer and a stills gallery. Fox's 2003 Studio Classics DVD transfer (full frame in accord with the original aspect ratio) is a top-notch effort. Other than a couple of soft sequences, the image is sharp and clear with deep blacks, clean whites, and excellent shadow detail. Edge effects are nonexistent. The opening credits just sparkle in their clarity and the film maintains that high standard virtually throughout. There's plenty of Dolby Digital soundtrack choice here. Included are stereo and mono English tracks as well as French and Spanish mono tracks. There's really little to choose between the stereo and mono English tracks. Either do an effective job for this dialogue-driven film. Age-related hiss is not a concern. English and Spanish subtitles are included. The supplement package is a juicy one. We get an audio commentary by film critic Richard Schickel punctuated by comments from actresses Celeste Holm and June Havoc. Schickel is opinionated and knows his way around the film, so this one's a pleasure to listen too. Havoc and Holm don't have as much to say, but some of their comments, particularly on how they enjoyed working with the other performers, are revealing. The 24-minute AMC Backstory Episode detailing the making-of the film is also quite informative. It's probably best to watch it first before listening to the commentary; otherwise, it can be rather repetitive. Two Movietone newsreels provide short glimpses of the ceremonies where Gentleman's Agreement received its Academy Awards and Look magazine awarded Best Actor and Best Picture to Gregory Peck and Darryl Zanuck, respectively. The disc also contains a stills gallery of 35 images and the film's theatrical trailer. Fox's 2006 DVD release offers a full frame transfer that looks quite nice. The image is reasonably sharp with decent shadow detail. A fair bit of grain is in evidence as are some scratches and speckles, although the latter are never intrusive. Both stereo and mono audio tracks are provided. There's little to choose between them and either do the job quite adequately. English and Spanish subtitles are also provided. Film historian Kenneth Geist delivers an interesting audio commentary and the original theatrical trailer is included. Fox's 2005 DVD release in its film noir line provides a full frame image in accord with the original aspect ratio and looks quite impressive. It's sharp and characterized by deep blacks and an impressive gray scale. Shadow detail is good. There are no edge effects. Only the occasional speckle and scratch are in evidence. Both mono and stereo tracks are provided and as is common, there's little obvious benefit to the stereo remix. The film's dialogue is clear and English and Spanish sub-titles are also provided. The disc's chief supplement is a fairly scene-specific audio commentary by film noir specialists James Ursini and Alain Silver. Many of their remarks focus on Kazan - his career, the place of this film in his filmography, and his film-making techniques - but we learn quite a bit about the film's production background and cast as well. The disc also includes the film's theatrical trailer and trailers for other Fox film noir titles. Warner Bros.' 2006 two-disc DVD release was available separately and as part of The Tennessee Williams Film Collection. Its full screen transfer is correctly framed and reflects considerable work to clean up this title as much as possible. The image looks quite sharp and clear though perhaps a tad behind the best black and white restorations. The mono sound is equally cleaned up resulting in clear dialogue throughout and virtually no background hiss. A French mono track and English SDH, French, and Spanish subtitles are provided. Disc one supplements include an Elia Kazan trailer gallery and an informative non-scene specific audio commentary by historians Rudy Behlmer and Jeff Young, with additional comments from actor Karl Malden. Disc two provides the feature-length profile Elia Kazan: A Director's Journey; five documentaries on the original play, the making of the film, censorship issues between play and film version, Alex North's musical score, and Marlon Brando; a Brando screen test for Rebel without a Cause; and various video and audio outtakes. The black and white image on the 2001 DVD release from Columbia is presented full frame preserving the theatrical aspect ratio of 1.37:1, but it's a mixed bag. Many scenes are very clear and crisp with excellent contrast, but some seem quite grainy and occasionally you'll find yourself looking at a washed-out daytime sequence or a night-time one that loses much of its shadow detail. Some of this must be attributed to the original gritty look of the film, but much of the rest is presumably a function of the poor quality of the existing film elements. Edge enhancement is not evident. The length of time that this DVD has been gestating suggests that Columbia struggled for some time to come up with an acceptable transfer. The results are far from perfect, but I believe Columbia has probably done the best that it could with what it had to work with. The original mono sound track is in very good shape. Certainly, dialogue is clear and free of age-related hiss and distortion. Columbia's Special Edition DVD has several supplements to recommend it. There is a screen-specific audio commentary by film critic and author Richard Schickel and Kazan biographer Jeff Young that is very incisive. It offers information on production activities, shooting methods and choices, the actors' careers, and the historical context, and does so in a pleasant, non-preachy fashion. Schickel and Young work well together and the result is one of the better commentary tracks. We then have a rough half-hour long featurette which keys on the taxi sequence between Brando and Steiger. This is a fascinating exploration of how the scene was planned and carried out, including insight into the actors' thinking on how to play it. Steiger's comments are particularly worth hearing. Others interviewed for the piece include Schickel, Martin Landau, and James Lipton, host of "Inside the Actor's Studio." A ten-minute interview with Elia Kazan follows, and provides some of his thinking on casting and working with actors. Other supplements include cast and crew filmographies; a gallery of posters/production photos/film scenes played with dialogue and music clips from the film; and a theatrical trailer plus trailers for two other Columbia productions. This title was released on DVD in 2005 as both a stand-alone version and as part of The James Dean Collection. The Warner Bros. 2.55:1 anamorphic transfer is excellent with nicely saturated colour and a generally crisp image. The sound has been upgraded to a 5.1 mix that is very pleasing, but typically offers little in the surrounds. A French 3.0 track and English, French, and Spanish subtitles are also provided. Disc one contains a good, mainly screen-specific audio commentary by Richard Schickel as well as the film's theatrical trailer. Disc two offers a number of other items that demonstrate Warners' usual fine attention to detail and value. It kicks off with a reasonably comprehensive 1988 hour-long documentary on James Dean's life. There's also a 20-minute featurette that discusses John Steinbeck's original story in comparison to the film, almost a half-hour of screen tests and wardrobe tests, 20 minutes of deleted scenes, and coverage of the original New York Premiere gala event. Warner Bros.' 2006 DVD release was available separately and as part of The Tennessee Williams Film Collection. The transfer is full frame, apparently an open matte version of what likely was projected at 1.66:1 or 1.85:1 when originally released theatrically. It doesn't look too bad, being quite sharp but sporting evident dirt and scratches, mainly in the opening reels. The mono sound is very clear and English, French, and Spanish subtitles are provided. The supplements consist of the theatrical trailer, a newsreel clip, and a 12-minute making-of featurette that benefits greatly from the participation of Karl Malden, Eli Wallach, and Carroll Baker. This title was released on DVD by Warner Bros. in 2005 both in a stand-alone version and as part of The Controversial Classics Collection. The 1.85:1 anamorphic transfer is very strong in all respects. Blacks are very deep and image detail is excellent. Mild grain is evident throughout. The mono sound does the job effectively. English, French, and Spanish subtitles are included. The two extras are the theatrical trailer and a good 29-minute making-of documentary that focuses both on Kazan and the film. The most recent DVD version of this 1961 title arrived in early 2009, available both separately and as part of The Natalie Wood Collection. Warners' 1.85:1 anamorphic transfer is a distinct improvement over the previous 2000 version. It offers bright, accurate colour with a crisp, well-detailed image. The image is also notably free of scratches and other blemishes. The mono sound track delivers clear dialogue with no hiss or distortion, and conveys the atmospheric score well. English SDH and French subtitles are provided. Aside from the theatrical trailer, the only supplement is the Warner Road Runner cartoon Beep Prepared, originally released the same year and nominated for an Oscar. Viewed in isolation, Fox's The Elia Kazan Collection is a very worthy successor to Ford at Fox and Murnau, Borzage and Fox and consequently is very highly recommended. The studio made the effort to make arrangements with Warner Bros. and Columbia (Sony) in order to deliver a 15-title feature film collection that covers all but one of the films that Elia Kazan directed both at Fox and elsewhere from 1945 to 1963. Only 1947's The Sea of Grass is missing (but it will be available on DVD from WB in April). Not included are the last three films of Kazan's directing career - The Arrangement (1969), The Visitors (1972), and The Last Tycoon (1976). (Of the latter three, only The Visitors has not yet been released on DVD.) The addition of Martin Scorsese's tribute to Kazan (A Letter to Elia, new to DVD) is a fine complement to the 15 feature films themselves and the high quality packaging results in a product that is as classy in its packaging as in its content. Despite my admiration for The Elia Kazan Collection, it must be acknowledged that over 60% of its title content has been previously released on DVD. Most classic enthusiasts will have already acquired those titles over the years, and in order to get the ones new to DVD are faced with deciding whether an additional investment of $200 list (perhaps $140 on line) is warranted. Most are likely to decide that it's not. Fox is likely to make the titles new to DVD available separately in the future, but timing is unknown at this time. Any delay can only mean such fans are likely to look to other regions where some of the titles are already available separately, albeit in transfers inferior to those in the Kazan set.